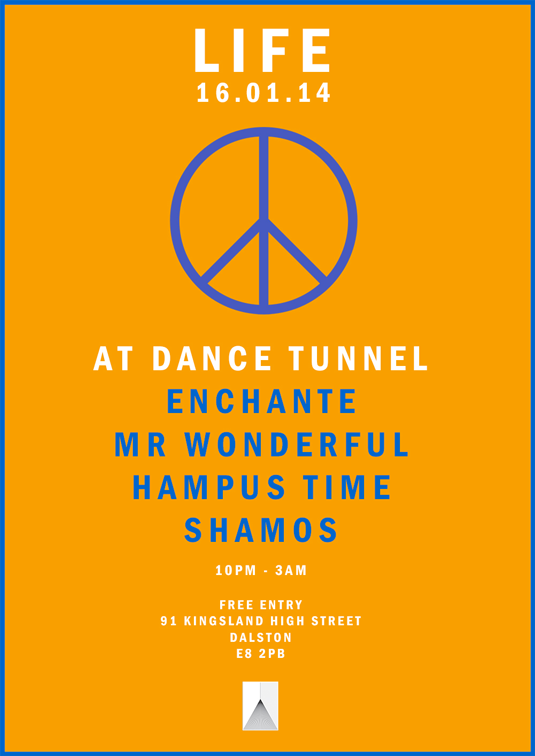 Life is back Dance Tunnel tonight. Usual deal – friends and fam playing records till the early hours with Enchante, Mr Wonderful, Hampus Time and Shamos as guests. 10pm – 3am. Free entry. 91 Kingsland High Stret, Dalston, E8 2PB. If you’re within a fifty mile radius*, that’s your Thursday night sorted. 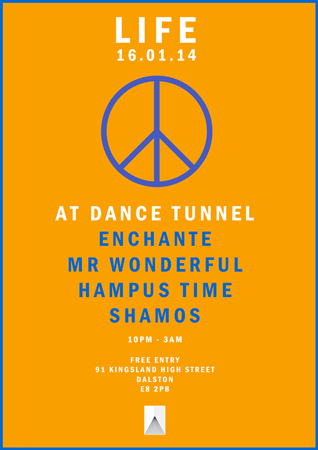 For more info, head to the Dance Tunnel FB events page. Simple.